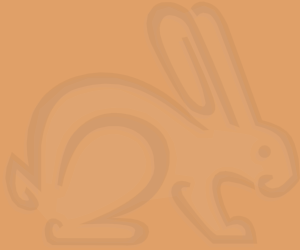 Hello, my name’s Fiona, welcome to my site about my rabbits and guinea pigs. 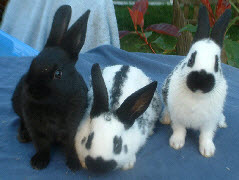 I have information here about the care of rabbits and guinea pigs, and also pictures of my pets. 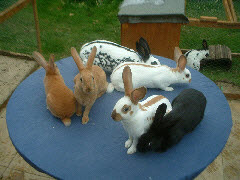 I keep purebred English and Sable rabbits and also a variety of guinea pigs. 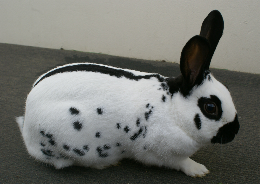 There may be rabbits and guinea pigs for sale at times throughout the year, so please check to see what is available. 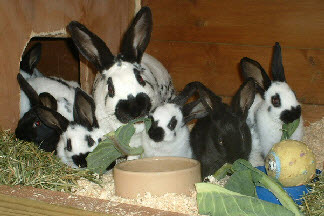 All my rabbits and guinea pigs have been handled from an early age and are therefore very friendly. 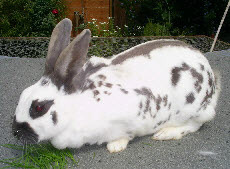 On the care sheets page there is information about the care of rabbits and guinea pigs; there is also a page about hand rearing baby rabbits, following our experience of rearing a litter of English cross French lops. 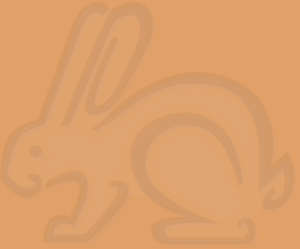 I am a member of the Rabbit Welfare Association and the British Rabbit Council as well as many regional clubs (see links page). I live near to Llandrindod Wells, Powys, mid Wales. 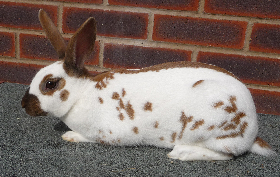 I started keeping rabbits in 1980 and bought my first English rabbit in 1983 which is when I started going to rabbit shows. Apart from a few years when I was away at college I have had them ever since. 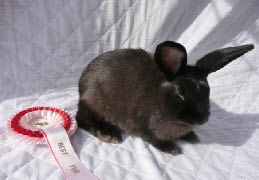 I am currently breeding and exhibiting pedigree black, blue and tortoiseshell English rabbits, and showing both rabbits and guinea pigs in local pet shows. I have also started breeding sables in the last few years - they are a normal fur breed, which come in two patterns - siamese sable and marten sable. 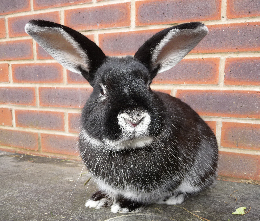 Occasionally I may have baby and young adult rabbits looking for loving homes, all of which are healthy, friendly and well handled. 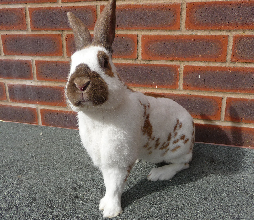 This is a hobby not a business - I breed for the satisfaction that I get out of it and in the hope that I will perhaps breed an English rabbit good enough for the show table! 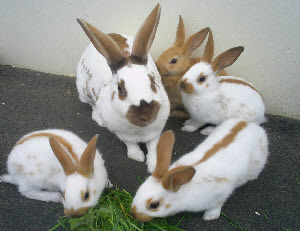 My pets are not used as breeding machines - I will only have one or two litters from each breeding doe or sow per year. All money I receive from selling babies goes back into their upkeep - towards food, bedding, vet’s bills, vaccinations and toys. I firmly believe that the best place to buy a pet is from a reputable breeder such as myself or a rescue, rather than from a pet shop, dealer or commercial breeder. Reputable breeders will be able to show you what size your pet will grow to, give you advice on feeding and housing, and answer any other questions you may have, both at the time you buy or in the months or years that follow. 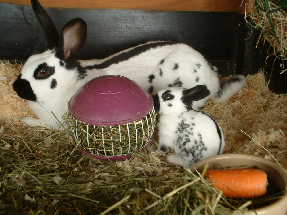 You will also have a chance to see the parents of your pet, and can be sure that he or she has been properly weaned and handled from an early age; this is sadly untrue for many pet shop rabbits and guinea pigs. Unlike some breeders, I do not supply animals to pet shops. I believe that a reputable breeder should be concerned about where the animals end up and how much advice about care is given at the time of sale. I want to ensure that all animals leaving here do so with as much information as I can possibly give to their new owners so that I can be confident that they will be properly looked after for their entire life. Babies are ready to be reserved! !